Pets in cabin policy: Only service animals allowed in cabin. Only 7 per flight. Pets as cargo: Animals/pets can be booked on direct flights between Ireland and New York, Boston, Chicago, Washington, and Orlando on Aer Lingus flights only. Pets as cargo costs: Cost is determined by the weight of the pet and the type of shipping that is chosen. For more information, visit http://www.petexpress.us, who transports animals from the US to Ireland. You can also call (866) PET-MOVE. Documentation requirement: All current vaccinations and health records. Blackout dates/restrictions/Special notes: No Akitas, Dogo Argentinos, Fila Brazilleros, Mastiffs, Pit Bulls, or Tosas. Animals cannot be transported on Fridays or Saturdays. Pets in cabin policy: None, unless a muzzled service dog. Must be in a kennel which is leak-proof and escape-proof. Must be closed securely but not locked. Must be labeled with the words “Live Animal”. Must be labeled with arrows indicating kennel’s correct position. Documentation requirement: Owner must present current vaccination record and license. Blackout dates/restrictions/Special notes: Flights within non-U.S. countries carry special fees. Flights within Mexico are $45 each way. Only certified, professionally-trained service animals allowed. Must pre-register with the Medical Assistance Desk at Air Canada reservations. Must have registered training certificate. You must pre-register your pet with Air Canada reservations within 24 hours of travel. Not all of the compartments are temperature controlled, so make sure to ask. Baggage costs: Cost is $105 CAD/USD for flights within Canada and the US. Cost is $270 CAD/USD for international flights. These prices are one-way only. Bookings should be made a minimum of 24 hours in advance for travel within North America. Bookings should be made a minimum of 5 days in advance prior to international travel. Only hard-sided kennels are accepted as checked baggage. Animals over 31 lbs must have a separate kennel. Any wheels must be removed from pet carriers prior to check-in. Pets as cargo costs: Cost is determined by the weight of the pet and the type of shipping that is chosen. Documentation requirement: All current health records and vaccinations. From December 18- January 7 (as checked baggage). From June 20-September 10 (as checked baggage). There are also blackout dates for specific planes during the winter months. Check website for more information. Your pet must be contained in a kennel. Each pet over 14 kg /30.8 lb must be contained in its own kennel. Baggage costs: Please call 800.882.8122 for specific pricing. Documentation requirement: Animal quarantine certificates and valid certificates must be provided. The kennel must be large enough so the small animal can move with proper ventilation. 2 small animals less than 14kg (30 lbs) could be transported in one container. Any small animal over 14kg (30 lbs) should be transported individually. 3 small animals under six months old can be transported separately or together in one container. Only cats and dogs under 6 kg. Pet carrier is considered a baggage item. In cabin costs: Depends on the flight and the availability. Please call Air France for more details. Pets in the baggage compartment: Dogs and cats over 6kg must travel in the baggage compartment. Pets as cargo costs: Depends on size and weight of the animal. Documentation requirement: All vaccinations must be current. In-flight kennel requirements: Depends on the flight and the plane. Please call Air France for more details. Blackout dates/restrictions/Special notes: Guard dogs, pit bulls, Mastiffs, and Tosas are not allowed. Pets in cabin policy: None. Contact the airline directly for all service animal requests. Pets are stowed in a pressurized and temperature controlled area of the aircraft. Must be traveling solely within New Zealand to travel as checked baggage. Different kennel requirements for different planes. Please call (800) 262-1234 for individual plane specifications. Pets must be booked with Cargo Customer Service by an approved Pet Transporter and delivered to the Air New Zealand Cargo Facility by an approved Pet Transport Company. Pet must be examined by a Ministry of Agriculture and Fisheries and be given a clean bill of health. Pet must have an importation permit. Documentation requirement: Consult with your veterinarian and the local Embassy of your destination to ensure that your pet meets the proper requirements. Large enough for the animal to stand and turn around. Pets in cabin policy: Only small, domesticated cats and dogs in an approved carrier that will fit under the seat. In cabin costs: $69 one way. Pets as cargo costs: None. Maximum is 8.5″ high x 17″ long x 12″ wide. Carrier must be leak proof and ventilated on at least two sides. Some kennels are available for a nominal fee at the ticket counter. The First Class cabin allows for one pet. Coach allows for five. A customer may travel with a maximum of two carry-on kennels in the main cabin but must purchase the adjacent seat. In cabin costs: $100 each way. Check in at least one hour before departure. If your trip includes a transfer, there is a four hour maximum connection time allowed. Alaska/Horizon does not transfer pets to other airlines. Pets over 150lbs must fly cargo. Baggage costs: $100 each way. Food and water must be offered within 4 hours of flight departure. Reservations must be made 24 hours prior to travel. Reservations cannot be made more than 20 days in advance. Pets are required to have a valid health certificate issued by a licensed veterinarian within 30 days of travel. Pets traveling from a breeder or research facility must have a health certificate issued no later than ten days before traveling. Must have a rabies vaccination. Blackout dates/restrictions/Special notes: Does not accept in-cabin pets during heavy holiday travel season. Pets in cabin policy: To book a reservation with a pet, contact the Allegiant Reservations Center at 702-505-8888 option 1 and tell the agent you are booking with a pet. Documentation requirement: A certificate from a veterinarian is required. The certificate must be dated within 30 days of the travel dates, stating the pet is in good health, is able to travel and is current on all vaccinations. Only one pet per carrier. The pet must be able to stand up and completely turn around inside the kennel. The kennel must be a FAA approved carrier that can fit underneath the seat. The dimensions for the pet carrier can be no larger than 9″ H x 16″ W x 19″ D.
Blackout dates/restrictions/Special notes: Children may travel alone with a pet on-board. Must reserve in advance; only 7 pets per flight. No in-cabin pets for trans-atlantic flights, South American flights, or Hawaiian flights. In cabin costs: $150 per kennel, one-way. Service animals are free. Pets in the baggage compartment: Maximum size is a series 500 kennel with the following dimensions: 40″ long x 27″ wide x 30″ high. Baggage costs: $100 per pet kennel. Cargo areas are temperature-controlled at 70 degrees. Pet carriers may be a maximum of i23″ long x 13″ wide x 9″ high. Soft-side carriers are allowed, provided that they are water-repellent. Only one kennel per passenger holding a maximum of two pets. No pets may travel to the UK, no exceptions. Not pet may travel when the forecasted weather at the arrival destination is under 45 degrees or above 85 degrees. Pets in cabin policy: Only service animals are allowed in-cabin. Pets in the baggage compartment: The number of pets as checked baggage is limited. Please call 800.235.9262 to make a reservation for your flight. Baggage costs: Twice the applicable excess baggage charge per container. Blackout dates/restrictions/Special notes: Travelers must notify the Animal Quarantine Service at least 40 days prior to the date of arrival. Pets in cabin policy: Only service animals allowed in the cabin. In cabin costs: No cost. Traveling to the UK can be a long process for most pets. Pets must be microchipped and licensed with all current medical records. Pets that don’t qualify for microchip travel may be quarantined for up to six months. Pets as cargo costs: Cost is determined by the weight of the pet and the type of shipping that you choose. Documentation requirement: Current health records and microchipping. Blackout dates/restrictions/Special notes: British Airways recommends a Pet Travel Agent accompany your animal should you choose to send your pet overseas without you. Pets as cargo: All animals are crated. Pets as cargo costs: Cost is determined by the weight of the pet and the type of shipping you choose. For more information, call (800) 233-2742. Documentation requirement: Current health records and vaccinations. Blackout dates/restrictions/Special notes: You will need to apply for an import permit for your pet if you fly to Hong Kong. Only one pet per passenger is allowed in cabin. Only one pet is allowed in the First or Business/First cabin and two pets in Economy. In cabin costs: $125 each way. Pets can be booked online. Pets in the baggage compartment: Pets should travel instead as part of PetSafe, Continental’s pet cargo program. Pets as cargo: A pet’s journey can be tracked. The Boeing 777 has certain restrictions and rules. Please see the Continental website for more details. Only one pet allowed (2 of same kind in same kennel sometimes allowed). Limit on number of pets per flight: First Class=1, BusinessElite=1, Main Cabin=2 (e.g., max of 4 on a plane). Pet must be at least 8 weeks old. In cabin costs: One-way fee of $150. Limited to dogs, cats, household birds, guinea pigs, rabbits, and hamsters. Up to 2 kennels allowed (except for giant kennels). One way fee of $275 domestically (including PR and USVI). One-way fee of $550 internationally. Health certificate required, issued by a vet within 10 days of travel. Charge based on weight of animal + kennel OR dimensional weight (1 lb/194 cu. in. ), whichever is greater. Rates range from $178 to $689, plus tax. See website for details. Maximum kennel size is 22″ L x 14″ W x 8″ H.
Pet must fit in a kennel under the seat in front of you; maximum kennel size depends on plane. Pet must remain in kennel while in boarding area and while on plane. Pets cannot be checked as baggage in the summer (May 15 – Sept 15), or when forecast temps at any point are below 20 F (except for Anchorage AK) or above 85 F.
Acclimation certificate signed by vet needed when temps forecast below 45 F.
Additional rules for live birds, pugs, and snub-nosed dogs/cats. See website for details. Pets in cabin policy: No live animals permitted. No exception for service animals. Must meet IATA Live Animal Regulations and all local government regulations. Container must be of adequate size, suitable design, and sufficient strength. Documentation requirement: All current health records and vaccinations required. Blackout dates/restrictions/Special notes: Certain countries do not allow the import of animals as baggage. 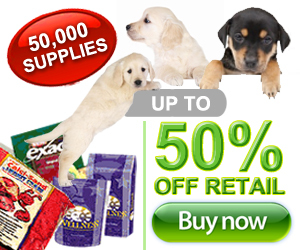 Call 800.777.3999 for more information on your specific pet. Pets in cabin policy: No live animals permitted. Exception for service dogs. Kennels must be leak, escape, and claw-proof. Height must be the same as the animal in standing position, without touching the roof of the cage. Length must be from nose to root of the tail. If the pet is lighter than 23kg, it will be charged as two excess units of baggage. If the pet is between 23kg but under 32kg, it will be charged as two excess units of baggage plus $32. Additional charges will occur for animals who weigh over 32kg. Documentation requirement: You must provide valid health and vaccination certificates to addition to other documents required by the country to which you are flying. Blackout dates/restrictions/Special notes: Please contact EVA Air to make sure that your pet and your pet’s container meet the requirement of the particular aircraft in which you will be traveling. Pets in cabin policy: Pets are not allowed in-cabin. Advanced reservations must be made with the airline. Only two animals per paid paid passenger. For small and medium sized kennels, a fee of $100 is charged. For large and extra large sized kennels, the fee is $200. Documentation requirement: A health certificate issued within ten days of travel is required for all pets. Littermates at least 8 weeks old may be shipped in the same kennel provided it is large enough for them to turn around and stand up in the kennel. 2 littermates in one kennel count as one animal. Blackout dates/restrictions/Special notes: Weather cannot be below 45 degrees or above 85 degrees for pet to travel. Only allowed on inter-Hawaiian flights and flights leaving the State of Hawaii. Only 5 pets per flight within the state of Hawaii. 2 pets in first class and five in coach for flights between Hawaii/Continental US and inter-continental flights. $175 each way for all points outside of the Hawaiian islands. No charge within the Hawaiian islands. Pet and kennel must not exceed 70 lbs. Book your pet at the same time as your airline ticket. Only three pets per flight in the baggage compartment. Pets over 70lbs will be subject to applicable fees and space availability. If the pet travels unaccompanied, there will be applicable fees. Pets as cargo costs: Please visit hawaiian air for more information on fees. Travel to Hawaii requires health certificates dated 14 days prior to travel. Travel from Hawaii requires health certificates dated 10 days prior to travel. Health certificates not required within the sate of Hawaii. In-flight kennel requirements: Pet must be in a kennel that fits under the seat in front of you. Blackout dates/restrictions/Special notes: No cargo flights to/from San Jose or Oakland. Pets in cabin policy: Does not allow any animals in-flight, with the exception of service dogs. Dogs and cats must be at least eight weeks old to travel. Kennel must be large enough to provide freedom of movement. Containers must be made of solid material. Containers must be well-ventilated and leak-proof. Flights that involve separate carriers must be arranged prior to travel. Pets as cargo costs: Charges are assessed according to the route. Owner is responsible for making sure the pet has all of the appropriate documentation, including quarantine papers and health records. Import/export documentation is verified at the check-in counter. Blackout dates/restrictions/Special notes: French bulldogs and bulldogs are not allowed on any flights. Only four pets are allowed per flight. The fourth and final pet must be booked at the airport at the ticket counter and is available on a first-come first-serve basis. Your pet counts as your one personal carry-on item. In cabin costs: The nonrefundable fee for a pet is $100 each way. Documentation requirement: Current vaccination and license records. Your pet must fit in a carrier that is smaller than 18″l x 15″w x 8″h (45.72 cm L x 38.1 cm W x 20.32 cm H) and must be placed under the seat in front of you. Soft-sided carriers that are 13″l x 10″w x 8.5″h (3 1/2 pounds empty) are available for a nonrefundable fee of $60. Combined weight of the pet and carrier may not exceed 20 pounds (9.07 kg). Pets in cabin policy: Must travel in a kennel under the seat in front of you. Pet must weight under 165 pounds. Kennel must be smaller than 292cm. Baggage costs: Calculated per kilogram. Pets as cargo costs: Price is determined by size and weight of your pet. Please contact 800.225.2525 for more information. Current vaccination and license records. Valid certificate dated at least 28 days before departure stating that your dog does not have rabies. Pets traveling to/from the EU must have an identification microchip or tattoo and an official EU Pet Passport. The combined weight of the kennel and your pet cannot exceed 6 kg. Must be stowed beneath the seat in front of you. Animal must stay in carrier throughout the flight. Pets must travel with their owners. Fees must be paid at check-in. Carrier must be hard-topped and leak-proof. Clean bedding must be included in the kennel. Baggage costs: $100 each way. Pets are not included in your baggage allowance. Must be used when pets are flying solo. Not all flights accept animals. No animals will be accepted when the temperature is below 15 degrees Fahrenheit. Certain breeds require extra care. Call KLM to make sure your breed is prepared for the flight. Pets as cargo costs: Depends on the weight and size of the pet. For more information, please call 800.452.2022. Documentation requirement: Upon check-in, you must present a veterinarian health certificate that includes current vaccination records and is dated within ten days of travel. Blackout dates/restrictions/Special notes: In-cabin and baggage compartment pets qualify for the Premier Pet Program, which earns points for future travel for owners and their pets. Pets in cabin policy: Only service dogs may travel in the passenger cabin. You must hold a confirmed reservation. You must check your baggage at least sixty minutes before departure. Only small or medium sized pets qualify for the baggage compartment. Baggage costs: No cost- included in part of your free baggage allowance. Some countries require a quarantine. Please check to make sure you understand the requirements of your destination. Accepts small vaccinated domestic cats and dogs. The pet carrier must be small enough to fit under the seat in front of the Customer. The carrier may contain 2 cats or dogs and must be of the same species per carrier. In cabin costs: $75 Pet Fare each way per pet carrier. Reservations for small cats or dogs can only be booked by calling Southwest Airlines at 1-800-I-FLY-SWA (1-800-435-9792). The Pet Fare must be collected at the ticket counter and is nonrefundable and may not be applied toward future-date travel if unused. Up to two pets per flight, including seeing-eye dogs. Pets may not be larger than 17.6 pounds. Service dogs may not be larger than 90 lbs. In cabin costs: $75 each way. Outside of the US is $100 each way. Documentation requirement: Current health documents and vaccinations are required for all pets. Pets in cabin policy: Your pet must be small enough to fit and stay comfortably in a kennel under the seat. In cabin costs: $125 each way. $175 internationally. Pets in the baggage compartment: You must be a passenger on the flight in which your pet is being sent as baggage. If you want your pet to travel unaccompanied, he must travel as cargo. Baggage costs: $250 each way. Up to $500 internationally. The container must be suitable for the species being transported and appropriate for air transportation. The animal must be able to stand, turn and lie down in a natural manner (this rule will vary by species). The container must be leak-proof, and have absorbent bedding suitable for the species provided by the shipper. Food and water containers suitable for the species being transported must be provided inside and accessible from outside the container. Pets as cargo costs: Costs depend on the weight and size of the traveling pet. Pet carrier may be hard or soft-sided and must prevent escape of your pet into the cabin. No part of the animal can protrude from the carrier. The floor must be absorbent enough to retain liquids and solids. Blackout dates/restrictions/Special notes: Summer embargo on particular breeds. One pet in the First Class cabin and two pets in the Coach Class cabin. US Airways Express flights limit carry-on pet acceptance to one pet per flight. Only one pet is accepted per container per customer. Carry-on pets require advance reservations. Pets in the baggage compartment: Only service animals may travel in the baggage compartment. Documentation requirement: Current vaccination and health records required for all traveling pets. Carriers must be leak-proof and escape-proof. Carriers must provide room for the animal to stand up and turn around. Carriers can be made of metal, wood or hard plastic/composite. Exceptions are made for soft-sided containers made specifically for pet carriage. Blackout dates/restrictions/Special notes: Traveling internationally may carry certain restrictions. Call the airline prior to booking your travel. Small compatible pets may travel together in the same kennel. Transporting your animal counts as your personal carry-on item. Documentation requirement: Traveler must present a veterinary certificate dated within 30 days prior to departure that indicates that the shots are current and that the date of birth is listed and is verified to be greater than 8 weeks of age. Kennel dimensions cannot be more than 18 inches long x 15 inches wide x 8 inches high and must fit directly under the seat in front of the guest. Must have proper ventilation, a floor designed to absorb and retain solids or liquids. Must have plenty of room for the pet to move freely. Pets can join the Flying Paws Club, where both the owner and pet can receive gifts. Pet must be fitted with a microchip at least six months prior to travel. Pets must be checked in four hours prior to departure time. Pets as cargo costs: Price determined by size and weight of the animal. Documentation requirement: Pets must be vaccinated for rabies and carry current documentation. The crate must be made of wood or hard plastic. It must be rigid on all sides and must not have a roof with a grill that opens. Must be equipped with an adequate sized water dish that is attached to the inside door of the kennel. Must be ventilated around all four sides. The base must be leak-proof. Blackout dates/restrictions/Special notes: There are weekday restrictions for sending pets via cargo. These change seasonally, please check the Virgin Atlantic website for more details.